UPDATE 12.50PM: Three men have been charged in relation to the serious assault in Goondoon St, Gladstone early on Monday morning which left a 21-year-old man in an induced coma. Two 21-year-old men and a 25-year-old man have been charged with grievous bodily harm as a result of an investigation conducted by detectives from Gladstone CIB. All three have been granted bail, to appear in Gladstone Magistrates Court on June 17. EARLIER: Three in the morning ticks around. You leave the nightclub and make your way home, a standard night out. For two men, that trip took a major detour, landing them in Royal Brisbane Hospital fighting for their lives. 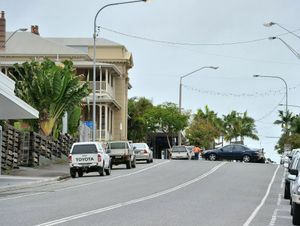 Goondoon St was the setting for two separate, violent assaults early Monday morning, the second of which resulted in a 32-year-old man being charged on Monday afternoon with one count of grievous bodily harm. His alleged victim is in Royal Brisbane Hospital with a fractured skull and bleeding on the brain. The first assault is alleged to have taken place just after 3am. A 21-year-old man was believed to have been involved in an altercation with up to three other men. As a result, he was transported to Brisbane for treatment for serious facial fractures after being placed in an induced coma. 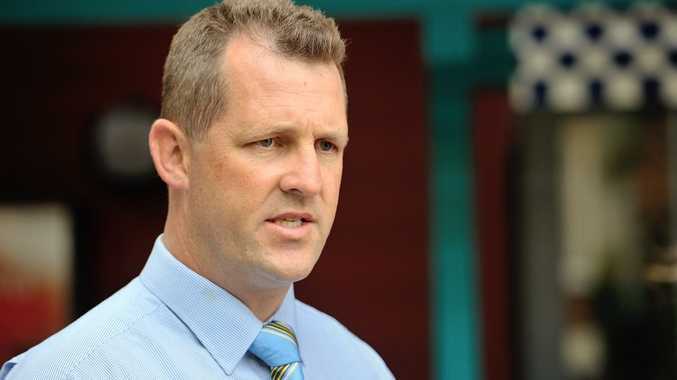 Gladstone Criminal Investigation Branch Detective Senior Sergeant Luke Peachey said detectives were interviewing a number of witnesses, and were still chasing public assistance in relation to the morning's first offence. 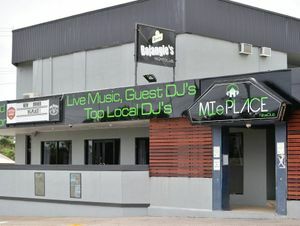 "It appears the victim has exited MIe Place nightclub and walked up the road, where an altercation has occurred with a number of other males," Det Snr Sgt Peachey said. "As a result of this altercation he's suffered some serious facial injuries and been placed in an induced coma, before being transported to Brisbane for further treatment." The district's top detective said it had appeared there had been a prior argument with one of the alleged offenders, before the offender gathered some of his friends and entered into a further altercation with the 21-year-old victim, who remained in a stable condition on Monday night. "Early investigations indicate it may be up to three people involved in the assault. However, the investigation is ongoing and we haven't finalised those numbers," Det Snr Sgt Peachey said. Less than half an hour later a second attack on the same street left a 31-year-old man with a fractured skull and bleeding on the brain. It appears there's no link between both incidents other than they were all in the same nightclub. The victim and the alleged offender had made their way from MIe Place up Goondoon St, where the victim was struck in the face, leaving him unconscious on the ground. It is believed the impact made by the victim's head hitting the ground may have been a major contributor to the head trauma sustained. Det Snr Sgt Peachey said initial investigations had not revealed a connection between the 31-year-old victim and his 32-year-old attacker, or any connection between the two incidents. "It appears they (victim and attacker) have left together. Their association is still being investigated, but it doesn't appear that they were well-known to each other," he said. "It appears there's no link between both incidents other than they were all in the same nightclub." CCTV footage obtained from MIe Place may be the clue to helping police identify the attackers involved in the first offence, which is also being treated as a grievous bodily harm matter at this stage. MIe Place owner-manager Aodhan McCann said they had provided CCTV to assist police with their investigations as detectives worked to apprehend the alleged offenders. "Our aim is to stop it (drunken violence)," Mr McCann said. 3am - MIe Place nightclub closes, patrons make their way out onto Goondoon St, argument starts with 21-year-old victim and another man. Shortly after 3am - Altercation between 21-year-old and up to three other men leaves 21-year-old in induced coma with serious facial fractures in RBH. 3.30am - 31-year-old male victim and 32-year-old man involved in altercation leaving victim with fractured skull and bleeding on the brain. 12.15pm - Gladstone CIB confirm 32-year-old man charged with grievous bodily harm. 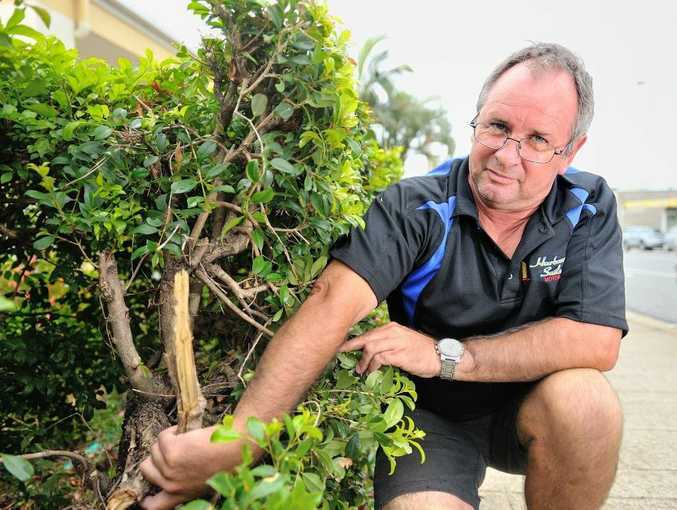 BERNIE Wilson, manager of the Harbour Sails Motor Inn, can still recall having to hose blood off the driveway of the complex last October after a vicious brawl, blood that is being spilt all too often in the Gladstone CBD. The dual incidents in the early hours of Monday on Goondoon St, which left two men with serious head injuries, are a stark reminder that while authorities are working overtime to curb alcohol-fuelled violence, it is still a work in progress in the region. 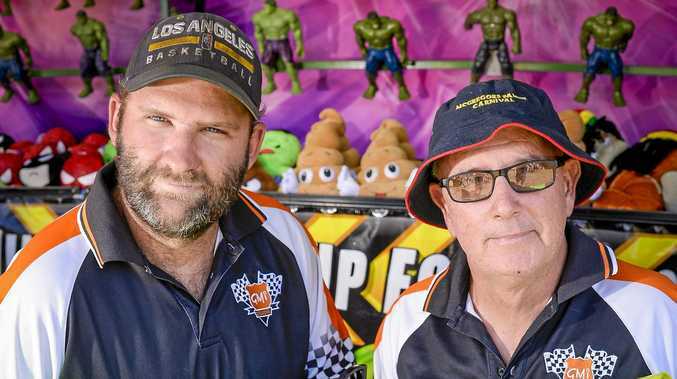 "I think the biggest problem in this town is the responsibility of the licensees and the amount of intoxicated people they not only keep supplying alcohol to but they keep letting into their clubs," Mr Wilson said. "We've been here (Harbour Sails) for about a year now and we used to have a bit of trouble, but we implemented a no-party policy here and that basically stemmed all of that." While quick to point out he wasn't entirely blaming licensees for the violence, the culture of allowing people to drink to intoxication before dumping them onto the streets en masse did not help prevent incidents. "People need to take responsibility for their own actions, but also the venues need to take responsibility for their business," he said.